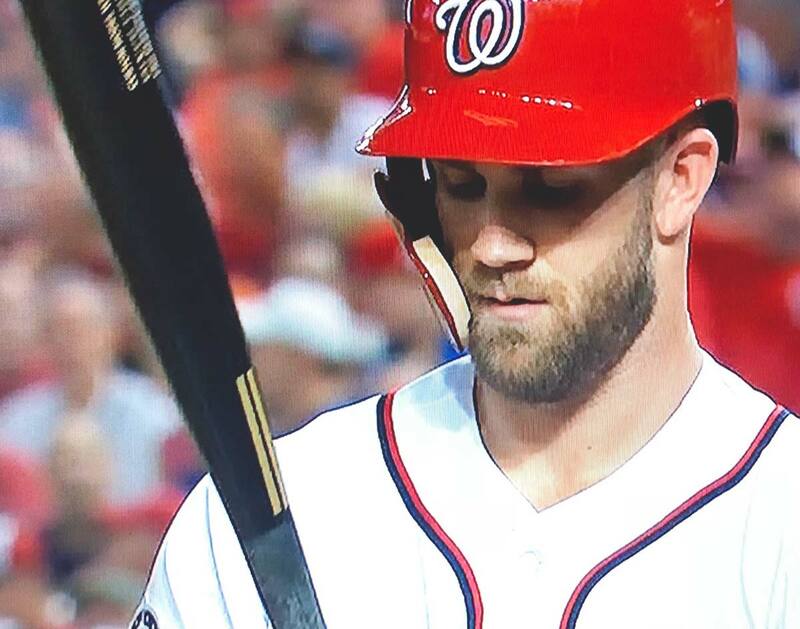 Bryce Harper Used A Warstic In The 2018 MLB All-Star Game. The Dallas Baseball Bat Company Got Perhaps Its Biggest Cosign To Date As The 2015 NL MVP Used One Of Its Bats During The Midsummer Classic. A few years ago, the upstart Dallas baseball bat company Warstic was a cute story — an exciting local company built upon killer design principles and an endearing, can-do spirit. But in the past few years, thanks in no small part to the surprising support and investment of former Texas Rangers second baseman Ian Kinsler and rock ‘n’ roll icon Jack White, the company has developed into something else entirely. These days, as the company continues readying its Deep Ellum headquarters — a spot set to boast batting cages and even a speakeasy alongside its bat-focused showroom — its profile is exponentially increasing. The latest and greatest example of this came during Tuesday night’s 2018 Major League All-Star Game, as 2015 National League Most Valuable Player Bryce Harper of the Washington Nationals — one night removed from earning his first-ever Home Run Derby crown — clutched a black Warstic during his second of two at-bats during the game. Sure, Harper may have struck out looking in that plate appearance, his Warstic resting on his shoulder during a called strike three, but his at-bat was still a major deal for the Dallas native Ben Jenkins behind the Warstic brand. In that moment, Harper became the latest among impressive collection of major leaguers — a list that includes Kinsler, two-time American League MVP Miguel Cabrera, three-time all-star Matt Kemp, two-time all-star George Springer, two-time all-star Mike Moustakas and all-star Eric Hosmer — to use one of Jenkins’ bats during an in-game situation. While no doubt excited to see Harper carrying one of his bats to the plate, Jenkins wasn’t altogether thrown by the idea. A week prior, he reached out to and established relationship with Harper when the outfielder started following Warstic on Instagram. After that exchange, Jenkins got to work on building a few bats to Harper’s requested specifications, then quickly shipped them off Harper’s way. He didn’t necessarily expect Harper to immediately employ one of those bats in the All-Star game — but he wasn’t exactly mad at the fact that he did, either. As for everyone else’s interests? Well, Jenkins is keeping pretty mum on when, exactly, Warstic’s 10,000-square-feet- headquarters in Deep Ellum will finally be ready to open its doors to the public. But, as he told WFAA this week, sports fans of all stripes have reason to be excited: In addition to baseball bats, Jenkins says Warstic is gearing up to soon roll out equipment for softball, lacrosse, hockey and golf players — and snowboarders, too. Update: Well, it seems as if Harper’s use of a Warstic wasn’t a one-time thing after all. On Friday, July 20, the Nationals player used a Warstic in legitimate league-sanctioned play — and got himself a hit, too. The hit was Harper’s first with a Warstic — and a fine indicator that this relationship between ballplayer and bat company could only just be getting started. Next ArticleChef Angela Hernandez Is Stirring Things Up Yet Again.